Even when foraging from a pristine forest or organic backyard it is necessary to clean the collected plants. Insects can be living inside flowers, animals may have walked on leaves, and any other number of things might need to be removed from the surface. 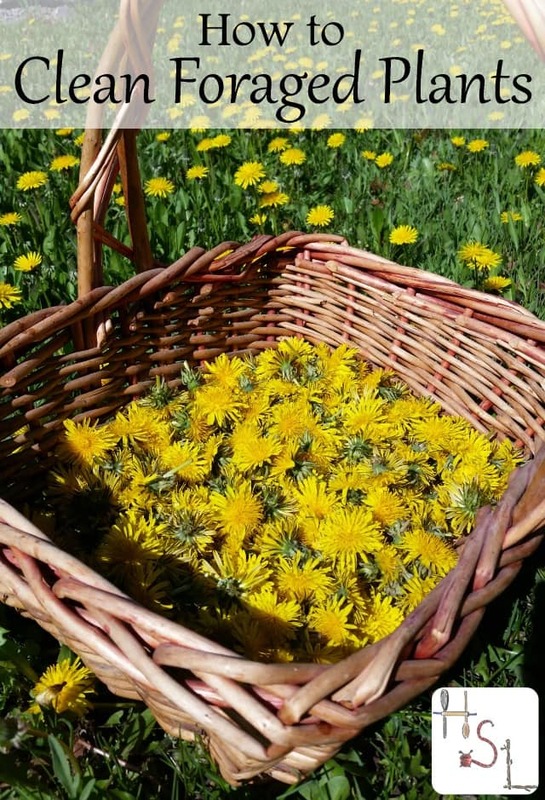 Clean foraged plants in 4 easy steps so that they can serve all your edible and medicinal needs. Practice responsible foraging and identification. No manner of cleaning is going to help if the identification is wrong. While plants still need to be cleaned, harvest from organic areas first and foremost. Avoid areas where chemicals have been sprayed. Don't harvest close to well-traveled roads where run-off from cars is present. Place the herbs in a colander and give them a good rinse under cool running water. This will remove any surface dust and loose insects. Now fill a clean sink or a large bowl with water and submerge the herbs. Give the herbs a swish in the water and then let sit for about 10 minutes. This will loosen insects and dirt stuck inside and on plants. The debris will sink to the bottom of the bowl while the herbs float to the top. Lift the colander or herbs gently from the water and let the water drain off as much as possible. Plants have a great tendency to absorb water. Spin them dry in a salad spinner. 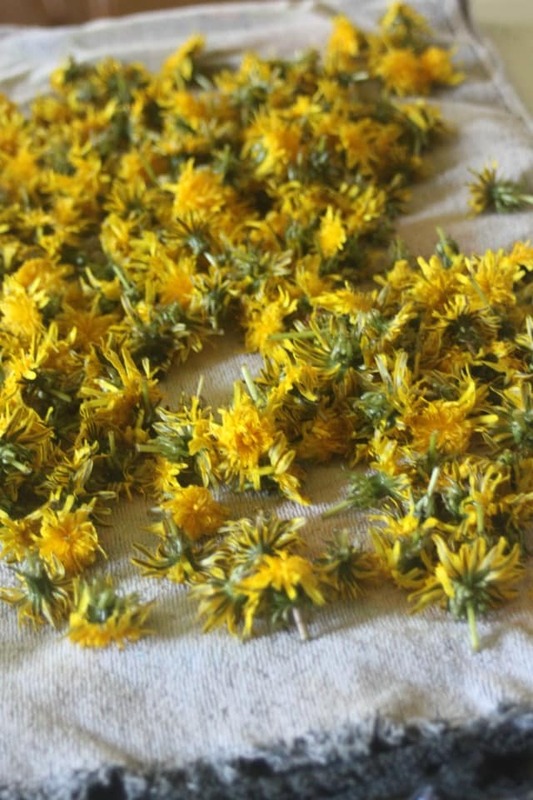 This will greatly reduce any drying or wilting time that might be necessary. Use that spinner several times to remove as much water as is possible. 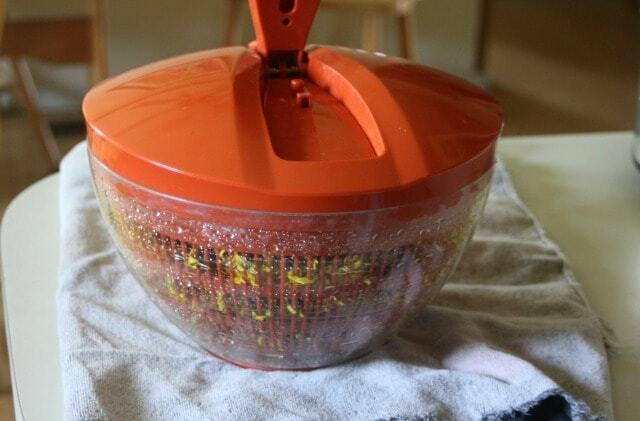 Be sure to drain any water from inside the salad spinner between spins. Spread the herbs out on a towel to dry. How dry will depend on the intended use for the harvested plants. To cook with the fresh herbs, simply leave on the towel until the washing water has evaporated. This could take up to an hour. One that water is evaporated it can be used in the recipe as necessary. 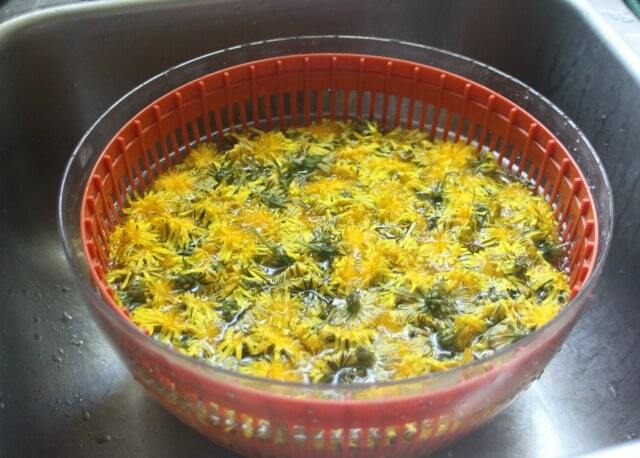 Wilt the herbs for infusing into oil or some other purpose, by letting them sit on the towel for 24 hours. They will have shed the water from washing in that time and wilted some of their own natural moisture as well. To dehydrate for long-term storage, let them sit on the towel for about an hour for the washing water to mostly evaporate. After the water is gone, spread the herbs out onto drying screens or hang to dry completely. Once crispy dry, store in containers for later. Clean foraged plants with this easy process and keep insects out of infused oils and bits of dirt out of soups. It doesn't take that long and is so very worth it in the long run. If you add vinegar to the water when you soak the plants, you will be disinfecting at the same time and getting out even more bugs. This works well even with store bought produce or home garden produce. Rinse as directed above and spin to dry. Agreed. I use vinegar to clean all of my produce. Sometimes it is amazing what comes off, especially from a bag of grapes! Much less expensive than the ‘fruit/veggie’ cleaners. Even though I am using the “Pinterest” button at the bottom of this article, when I tried to pin it, Pinterest informed my that “This site does not allow items to be pinned.” I’m wondering which is the case. You should be able to pin, I just was – I’m thinking it was a temporary glitch on Pinterest’s end. I’m sorry for the hassle though. I was just wondering about this not too long ago. Thanks! Thank you so much for this information! After reading 4 books on Herbs this is the first I’ve read detailed information on what to do after harvesting. This extremely useful! Oh I’m so glad to hear it! Thank you for this very practical information! I’ve not found it anywhere else. I really look forward to reading more of your of your work! I’m so glad to know this was useful to you.